This blooming branching corals can only be seen in the depths! Just recently I came across an article about scuba addiction citing all the symptoms of being one, bit hilarious but in a sense there some truth in it. For many and that includes me, has been bitten by the bug, and again I would say this could last a lifetime. In my own terms, it’s not addiction but more of passion, not an obsession but fervent devotion, not merely fancy but true admiration of the life beyond. The lure of the underwater world sets a diver on a great voyage that goes to the bottom of the sea. A journey beyond the terrestrial dimension that set him apart from the rest after such glorious experience in a universe populated by weird or wonderful cast of thousands. So in many ways, our passion would manifest in our behavior, habits that could become a lifestyle. Generally, there is nothing verbal but in many subtle ways the assertion is essentially clear of being a true blood diver. Sporting a bulky watch even for women is not weird, because the dive computer will become one’s treasured time-piece. Now, I found it practical to wear my dive computer on my other trips other than diving, even if I went on my weekend walking. It has practically become my buddy! My so called de-stressor trips revolve around dive plans, seeing one new place is something therapeutic for me but it must have dive sites and obviously dive operator. My official trips sometimes are coupled with a dive plan if such destination has diving opportunities. Yes, my certification cards are in my wallet (all three of them), just to keep them handy. It might get misplaced if I keep it somewhere else! I can have all my essentials in my back pack but I do always get extra kilos exclusively for my gears, always requesting the airline crew for tagging as “fragile”. Extra time is necessary for some questions and signing the waiver. Learning and knowing an extra language in hand signals. You have leveled up actually, the “OK” sign is not about money anymore, or the “thumbs up” is always about going up. You easily get confused when such signals are used on the surface! If these are not weird and all sound too familiar for you, then you are a diver by heart, the depth of your passion has sunk in your innermost being. Needless to say, if you don’t have these qualities, you’re not a real diver. Chances are, it was merely a whimsical urge which after a time, when the excitement wane it will become a thing of the past. A passé but never a passion…. My passion for diving and the underwater life had given me that keen sense for the red flag with the diagonal line, it seemed I am drawn to it even in the midst of other travel agenda. I have promised myself to be productive in every trip, learn and discover especially marine issues and activities and possibility for diving trips in the future. I always believe that many places are worthy for diving, this country has 7,107 islands and literally surrounded by waters. Indeed, many interesting spots are not in the diving map but some brave souls just establish dive shops in rural areas even if scuba diving is unpopular in the locality. Recently I unexpectedly found dive operators in the least popular setting, new discoveries that sent flutter in my heart! We went to this popularly unique pebble beach in Mabua to fulfill my promise to the kids – my nephews and nieces, it was long overdue and have to squeeze schedules for a two-hour travel from Butuan to Mabua and another two hours for the return trip. We drove to the tip of the cove for the beach cottages, and somewhere halfway I caught sight of a cottage painted white with the dive sign, it was a surprise! I thought there was only Punta Bilar Dive Center in the city. It is operated by Dirk/Doris, a friendly couple who just started the shop few months back. 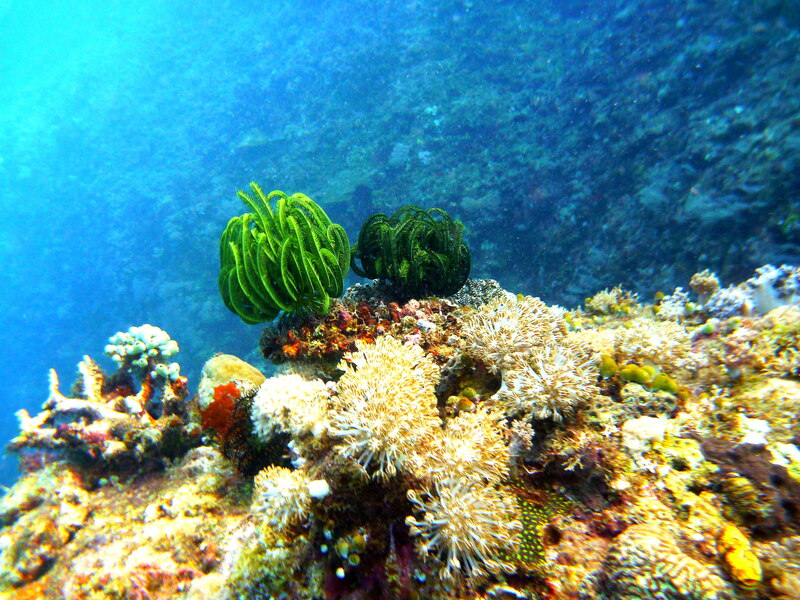 Mabua Divers (www.mabuadivers.com) can be reached at 09166439982. 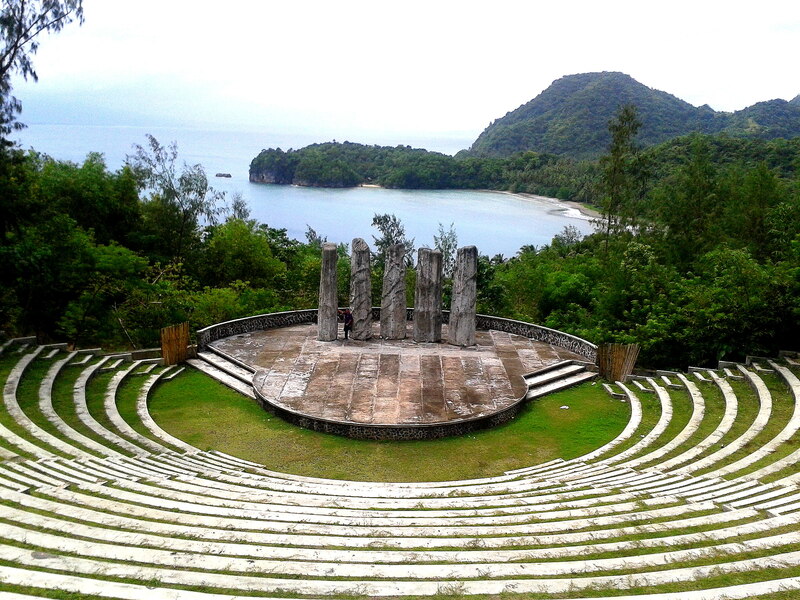 The site is a good prospect as it is in the nearby Caraga region and can be reached by land, there’s no need to fly! Recently visited the city through a work trip, at the airport while waiting for my luggage I hastily approached the tourist info booth and asked about diving, it was again surprising as the attendant handed me a calling card. I mentally noted Pacific Blue (www.pacificblueasia.com) not sure to find or visit the shop. Later that afternoon, a friend’s friend showed us around and drove us to Embarcadero and further to Legazpi Boulevard. There tucked in between with newly constructed establishments is a lowly but with large ground space is the shop. I asked our host for a short stop to inquire which he politely obliged. A Japanese which looked like a Filipino to me, attended to my inquiries – a casual conversation about the divesites and its marine life. 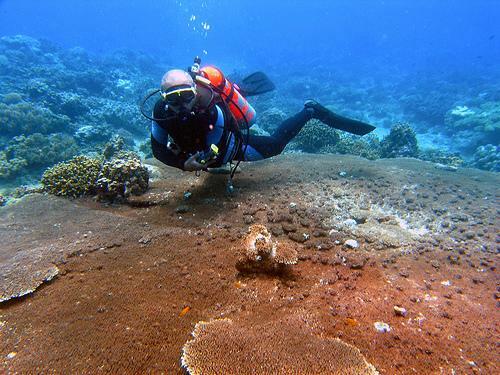 There were damages from dynamite fishing and currently they are working on coral transplantation to revive the coral reefs in the surrounding Albay Gulf. It was interesting to note their effort to restore the marine environment, in coordination with BFAR. As expected diving in Misibis Bay is in dollars! The luxurious Misibis Bay offers diving but I cringed as I inquired for the rates, the bay is still reviving from dynamite fishing damages. A sanctuary is maintained by the resort, giant clams transported from Bolinao, Pangasinan were planted and adapting well, tropical fishes which includes over-sized groupers are decorating the nearby resort waters. Right in this city where I grew up, I wasn’t expecting that diving will come right at home. In my own opinion, hardly would anybody set up a dive shop in Butuan, it was unbelievable. The notable body of water in the city is the Agusan River, with its murky waters it is not feasible for diving. 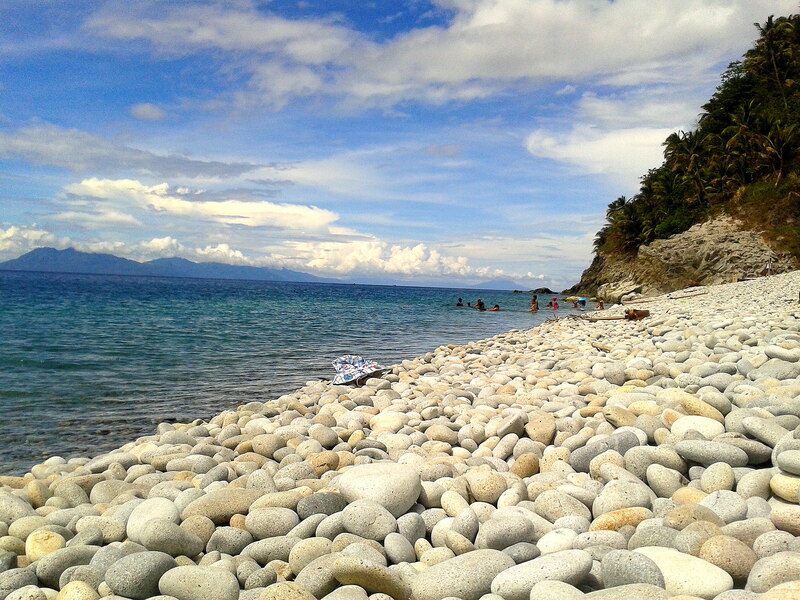 The decent beaches worthy for the usual weekend outings are in Nasipit and Carmen, which is more than 25 kilometers away. Most likely, diveshops will open in the coastal towns with obvious reasons. JJ Dive Center started operations just few months back this summer, with the vision that Butuanons will embrace Scuba Diving as a sport, hobby and passion. I found their announcement online through a diver Mexican contact and noticed that their dive spots include those located in Surigao City and Carmen, Agusan del Norte. These localities have notable marine environment and have existing partnership with government agencies for marine preservation and protection. I’m looking forward to discover and explore the mysterious depths in Caraga, and again there’s no need to fly! 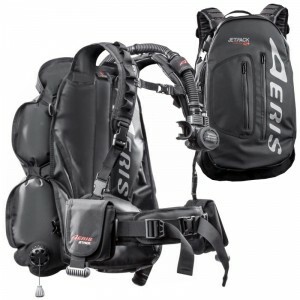 I still haven’t used my Zuma Aqualung BCD but the latest advent of Aeris Jetpack made me restless! So perfect for traveler diver like me.